Please revise the content in the box with: Security systems for the GTA homes, whether Alarms, Camera’s or Intercom’s, should be user friendly, reliable and affordable. Find out how we can help you protect your property and family..
Canadian businesses require reliable security solutions that offer protection to property, staff and customers. We understand this, and make it our goal to provide your business with the security it needs. With the technology available nowadays, it’s easy for a business to protect its assets. But a Mississauga business camera system and security plan can provide you with a host of additional benefits beyond simple security. 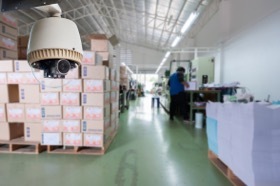 Lynden Security Systems Inc. has helped hundreds install the very best security camera and sensor solutions for their business. Below they’ve we’ve shared some of our insight with you. 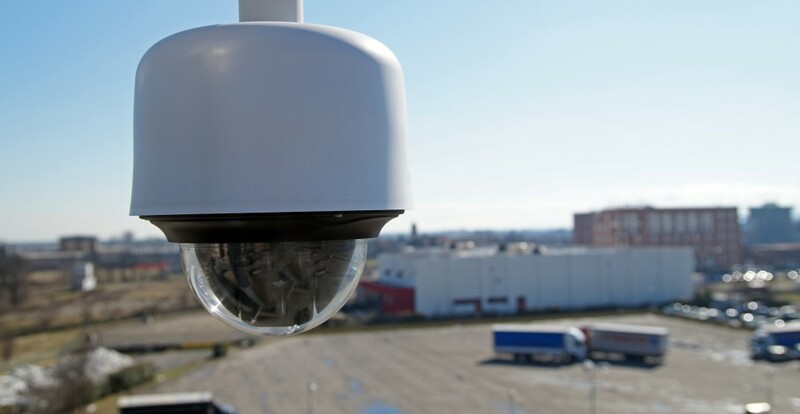 Here they’ve collected some of the far-reaching advantages a commercial camera system and security plan can provide your enterprise. 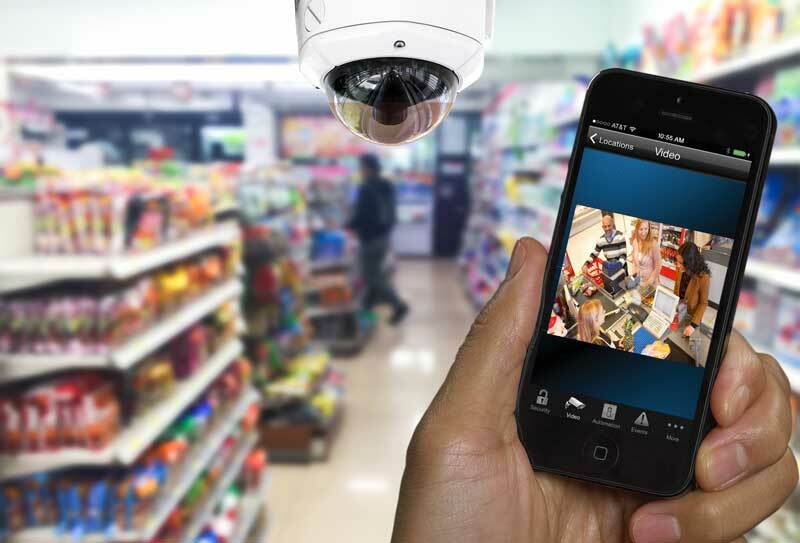 One of the primary reasons businesses take advantage of the latest security camera systems and other solutions is because of the advanced technology it provides them. You can integrate all of your systems with specialized software, programmed to activate cameras when entryway sensors are tripped, keep track of those who come and go and much more. You can also have 24/7 monitoring to make certain that if a camera catches someone on your property after hours, you’ll be the first to know about it. A Mississauga business security camera system for your enterprise can help improve quality control. Installing cameras throughout the facility will make employees less likely to slack and improve safety. You’ll also be able to keep track of anyone who visits your building, making sure they’re properly checked in and stick to authorized areas. Should an incident occur on the premises, it can provide security staff with a visual record in case there were no eyewitnesses. 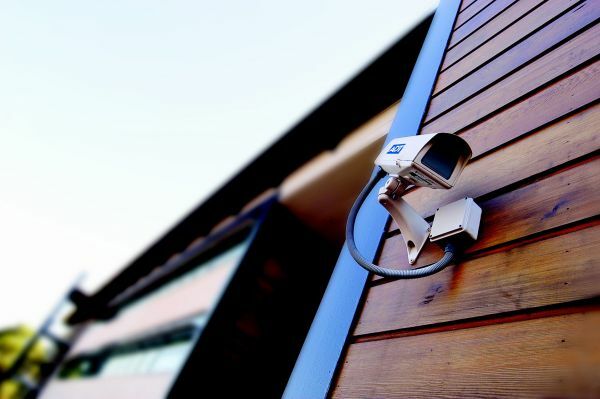 One of the primary benefits of installing a business camera and security system is because it helps protect your company’s assets. Up-to-date security technology improves loss prevention by deterring crime and alerting authorities ASAP. Video surveillance also provides police with valuable aid in identifying potential suspects. Let us install your Mississauga business security camera system! Are you in need of a business camera system in Mississauga? Perhaps you simply feel your security plan is slightly outdated. Either way, Lynden Security Systems Inc. can provide an affordable solution, so contact us today! When renovating your home, your household might be vulnerable even with your Mississauga home alarm system. That’s why it’s important to take some added security measures while renovating, so Lynden Security Systems Inc. has collected a few here for your benefit. If your home is undergoing repairs or renovations, follow these five tips from Lynden Security Systems Inc. to protect your household. One of the first things you can do to protect your home is by making certain your Mississauga home alarm system is up to date. This way if there are more vulnerable areas, motion sensors and other security measures will still be able to determine when there’s a breach. When having others working in your home, it can be easy to forget to check your doors and windows at the end of the day, or simply assume your contractor locked up before leaving. But to be sure, always check to make certain your entryways are locked tight each night. Knowing those entering and leaving your property during renovations is important. Cleverer crooks can sneak in unnoticed, so ask your contractor who’s showing up each day and try to keep track of all the visitors to your household. If you have an area of the home that’s open to the outside while undergoing renovations, it’s still important to make sure no one can enter it who’s not supposed to. You can do so by covering it while not in use if possible, as well as securing the borders of your property with fencing. One of the most attractive items for crooks is building supplies, so avoid leaving any sitting out in plain view during renovations if you can help it. At the end of the day, make sure all building supplies are secured. 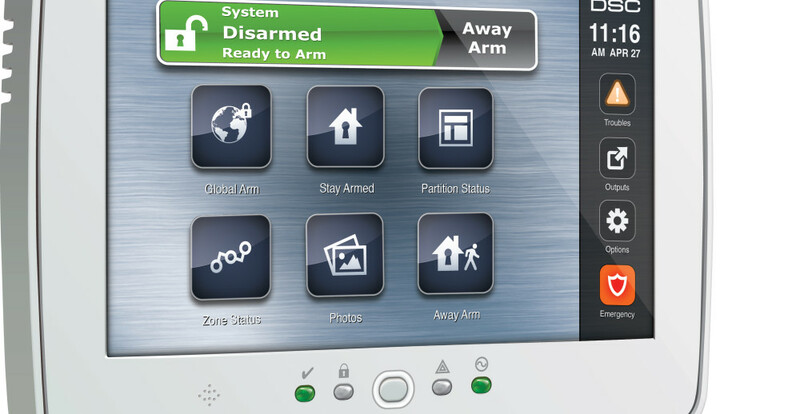 Lynden Security can upgrade your Mississauga home alarm system! For those concerned about home security, installing a home alarm or residential camera system can provide you with peace of mind. Contact the team at Lynden Security Systems Inc. today to learn more. Businesses of all shapes and sizes benefit from an updated security system. 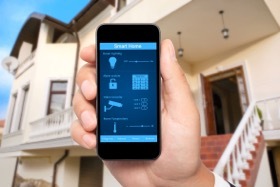 Nowadays security means much more than a simple motion detector on your entryway and an alarm. There are a host of different solutions for your Toronto business security system. Lynden Security Systems Inc. has outfitted many businesses in the area with cutting-edge security solutions. 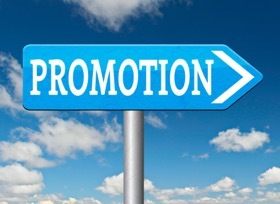 Below they’ve collected some of the benefits you’ll have by upgrading yours today. When you have a visitor on the premises, you probably don’t want them to be able to go anywhere they please. Many businesses have areas that are off-limits to visitors. 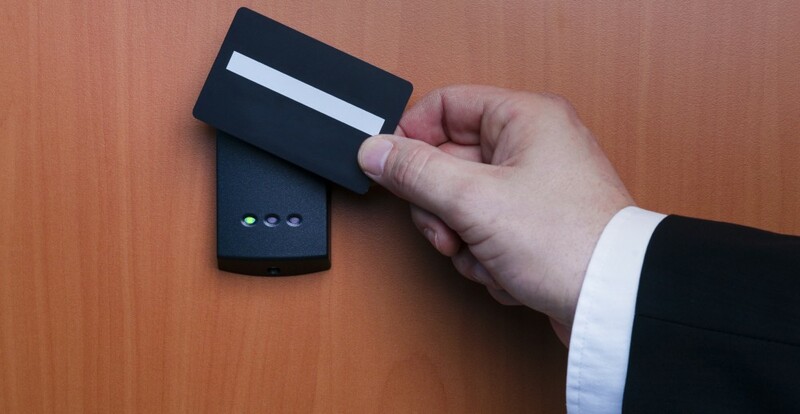 Installing a security system that consists of keyless control or card access points can make it much easier to track who comes and goes on your property. It doesn’t matter if you own a small boutique or a high-volume factory, protecting your assets is important. For this reason, upgrading your Toronto business security system is key. Doing so will provide your company with the most up-to-date loss prevention solutions to ensure all of your employees, machinery, and property remains protected. In case of an incident, you’ll be able to minimize loss and have a record to present to first-responders. Our security team can provide affordable Toronto business security solutions! Have the benefits listed above inspired you to upgrade your business’ outdated security system? If so, Lynden Security Systems Inc. would love to hear from you. Contact our staff today to learn more about our cutting-edge video surveillance systems and commercial security services.